Refresher Course on Perioperative Care and ERAS is organized by New York School of Regional Anesthesia (NYSORA) and will be held from Apr 29 - May 03, 2019 at Paradisus Cancun, Cancun, Quintana Roo, Mexico. Target audience: While the course is targeted to all anesthesia practitioners, the didactic program makes it equally suitable for anesthesia residents, fellows, and other health care and health industry professionals. Accreditation : Physician Continuing Medical Education The Postgraduate Institute for Medicine designates this live activity for a maximum of 20 AMA PRA Category 1 Credit(s)TM. Physicians should claim only the credit commensurate with the extent of their participation in the activity. Continuing Nursing Education The maximum number of hours awarded for this Continuing Nursing Education activity is 20 contact hours. Pharmacotherapy contact hours for Advance Practice Registered Nurses will be designated on your certificate. Course Description: The seminar is designed to strike a balance between the highest quality CME education and leisure time in an inspiring location for busy clinicians. 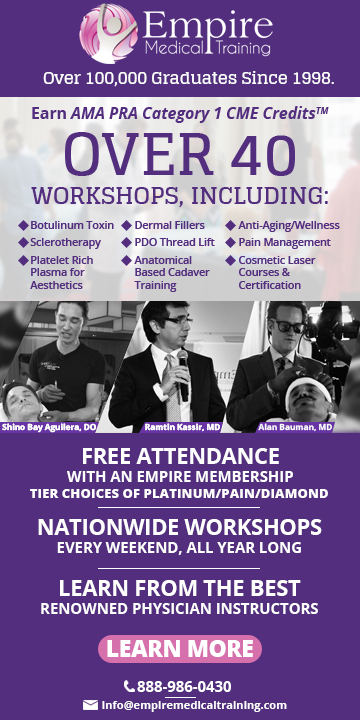 Participants can use this opportunity to bring back value to their practice by attending morning lectures delivered by some of NYSORA’s TOP experts, leaving the afternoons free. Lectures are designed to offer authoritative and comprehensive update in Perioperative Medicine and Enhanced Recovery after Surgery (ERAS). Lectures are complimented by NYSORA’s state-of-the-art 3-D virtual cadaver imaging which will take you on a unique journey across applied anatomy. Course Objectives: • Review the most important developments in nerve block techniques. • Design a plan on how to manage challenging patients and techniques. • Review optimal application of nerve blocks in perioperative setting. • Discuss the management of continuous infusion of local anesthetics • Review the mechanisms of complications with peripheral nerve blocks and discuss strategies for their prevention • Review the indications and techniques for success with Liposome Bupivacaine (Exparel) • Review emerging technologies in nerve blocks • Review the literature evidence on any advantages of ultrasound in regional anesthesia and the methods of its utilization. • Discuss the business aspects of regional anesthesia and analgesia Course Topics : • Understanding Functional Regional Anesthesia Anatomy (3-d) • Geniculate And Popliteal Plexus Blocks For Analgesia After Knee Replacement • Knee Surgery: Femoral, Femoral Triange And Adductor • Fascial Plane Blocks – Front (Pecs, Tap) • Fascial Plane Blocks – Back (Erectores Spinae, Quadratus Lumborum) • Opioid Sparing Infusion Intraoperatively – What Is The Evidence? • Awake Fiberoptic Intubation – A Practical Approach • Update On Anticoagulation And Regional Anesthesia • Analgesia For Shoulder (New Versus Old) • Perioperative Medicine. What Is All The Fuss About? • Regional Anesthesia Techniques For Shoulder Surgeries – Interscalene And Alternatives • Cervical Blocks: Superficial Cervical Plexus, Isb, Supraclavicular, Infraclavicular, Axillar And Arm Blocks • How To Build A Regional Anesthesia/anagesia Team (How to Build a Team) • Fast And Furious – Why The Rush To Ambulatory Joint Surgery Additional details will be posted as soon as they are available. XXXVIII Mexican Association of Oral and Maxillofacial Surgery (AMCBM) Congress is organized by Mexican Association of Oral and Maxillofacial Surgery / Asociacion Mexicana de Cirugia Bucal y Maxilofacial (AMCBM) and will be held from May 01 - 04, 2019 at San Cristobal de las Casas, Chiapas, Mexico. Additional details will be posted as soon as they are available. VI Iberoamerican Congress of Family Medicine 2019 is organized by World Organization of Family Doctors (WONCA) and will be held from May 01 - 04, 2019 at Tijuana, Baja California, Mexico. Additional details will be posted as soon as they are available. 12th Biennial International Society of Arthroscopy, Knee Surgery and Orthopaedic Sports Medicine (ISAKOS) Congress 2019 is organized by International Society of Arthroscopy, Knee Surgery and Orthopaedic Sports Medicine (ISAKOS) and will be held from May 12 - 16, 2019 at Cancun ICC, Cancun, Quintana Roo, Mexico. The target audience for this medical event is Orthopaedic Surgeons, Orthopaedic Physician Assistants, Physical Therapists, Orthopaedic Residents, Orthopaedic Fellows. 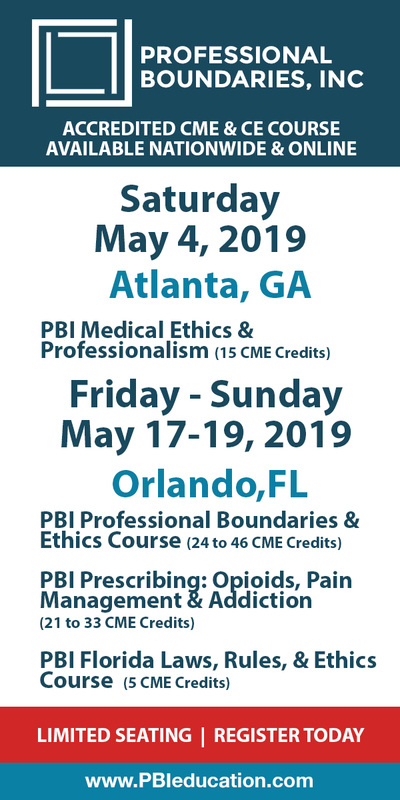 This Congress provides a variety of new preventative, therapeutic and surgical technique information, allowing attendees to expand their knowledge and enhance their surgical skills. Course Objectives: • Discuss new initiatives in medicine and technology as they relate to arthroscopy, knee surgery and orthopaedic sports medicine. • Evaluate clinical cases and advance the practice of evidence-based, informed orthopaedic care. • Demonstrate the application of current techniques, procedures and research. • Identify and analyze current research data pertaining to the management of ankle, foot, knee, hip, wrist, elbow and shoulder problems, and to sports medicine. Pre-Courses: ISAKOS Congress Pre-Courses are to be held on Saturday, May 11, 2019 Additional details will be posted as soon as they are available. Metabolism in Health and Disease Conference 2019 is organized by Fusion Conferences Ltd and will be held from May 24 - 27, 2019 at Fiesta Americana, Puerto Vallarta, Jalisco, Mexico. The target audience for this medical event is researchers interested in connecting metabolism to cancer, inflammatory diseases, stem cells and aging in both academia and the biotech/pharma industries. Interested researchers need to be on top of these interconnected fields and will want to participate in an international meeting serving as platform for presentation and discussion of the most up-to-date preclinical and clinical work emerging from them. Conference Description: The new millennium has seen a resurgence in our appreciation of metabolism as a central discipline in our understanding of human health and disease. Although the pathways necessary for ATP production and synthesis of macromolecules (nucleic acids, lipids, and amino acids) were elucidated decades ago, their role in determining cell fate or function has been uncovered only recently. The discovery that oncogenes and tumour suppressors reprogram nutrient uptake and metabolism in malignant cells has re-energized the field of cancer metabolism and more broadly stimulated a second “golden age” of disease-oriented research in biochemistry. Recent work has also shown that metabolites themselves influence signal transduction and gene expression, indicating a surprising degree of crosstalk between metabolism and other regulatory networks in cells and tissues. Metabolites are also important in communication between cells both within a tissue and systemically throughout the body. At this conference we will discuss the role of metabolism in controlling cell fate and function in multiple contexts including cancer, tissue regeneration, immune responses and aging. Speakers: Janelle Ayres (Salk Insitute), Kivanc Birsoy (Rockefeller University), Edward Chouchani (Dana-Farber Cancer Institute), Heather Christofk (University of California, Los Angeles), Maralice Conacci-Sorrell (UT Southwestern Medical Center), Andy Dillin (UC Berkeley), Gerard Evan (University of Cambridge), Mark Febbraio (Garvan Institute), Douglas Green (St. Jude Children's Research Hospital), Marcia Haigis (Harvard Medical School), Russell Jones (McGill University), Brendan Manning (Harvard T.H. Chan), Christian Metallo (UC San Diego), Thales Papagiannakopoulos (NYU School of Medicine), Erika Pearce (Max Planck Institute), Jared Rutter (University of Utah), David Sabatini (Whitehead Institute for Biomedical Research), Gerald Shadel (Salk Insititute), Celeste Simon (University of Pennsylvania), Poul Sorensen (The University of British Colombia), Matthew Vander Heiden (Massachusetts Institute of Technology). Additional details will be posted as soon as they are available. XXXIV Pan-American Congress of Ophthalmology is organized by Pan-American Association of Ophthalmology (PAAO) and will be held during May 25 - 29, 2019 at Cancun ICC, Cancun, Quintana Roo, Mexico. Additional details will be posted as soon as they are available. International Association for Dental Research (IADR) Mexican Division Annual Meeting is organized by International Association for Dental Research (IADR) and will be held from May 27 - 31, 2019 at Iberostar Cancun, Quintana Roo, Yucatan, Mexico. Additional details will be posted as soon as they are available. 2nd Cell Death, Cell Stress and Metabolism Conference is organized by Fusion Conferences Ltd and will be held from May 27 - 30, 2019 at Fiesta Americana Puerto Vallarta All Inclusive, Puerto Vallarta, Jalisco, Mexico. Target Audience: From basic researchers interested in cell death all the way to people in the biotech and pharma industries who would like to be on top of these fields and want to form part of a meeting which is specifically geared towards providing a platform for the presentation and discussion of the most up-to-date preclinical and clinical work in these fields. Conference Description: The interplay between cell death, cell stress and metabolism plays a crucial role in shaping normal turnover of tissues, in sensing of danger posed by pathogens or other damage and the immunological response that is mounted to response to them. At this conference we will discuss the basic biological principles that govern cell death, cell stress and metabolism. We will also cover how cellular stress and alterations in metabolism influence the cellular death programs such as apoptosis, necroptosis, ferroptosis and others. Importantly, this conference aims to become the go-to forum at which the most current and up-to-date therapeutic avenues in the fields of cell death, cell stress and metabolism will be presented and discussed. Additional details will be posted as soon as they are available. 3rd Personalized Medicine Conference is organized by Fusion Conferences Ltd and will be held from May 30 - Jun 02, 2019 at American Fiesta, Puerto Vallarta, Jalisco, Mexico. The target audience for this medical event is broad spectrum of researchers working on Personalized Medicine and will include Pathologists, Geneticists, Genetic Counsellors, Clinical Pharmacists, Pharmacologists, Data Scientists and Bioinformaticians. Course Description: New diagnostic technologies and therapeutic approaches are being developed and implemented which will transform patient management in the near future. As with the previous two meetings, this conference will include academic scientists and industry leaders. In addition to topics discussed at the previous personalized medicine conferences, for 2019 we plan to add speakers in particularly timely topics such as pharmacogenomics, machine learning, and high throughput drug screening, all of which have the potential to truly transform the practice of medicine. Attendees at the previous Personalized Medicine Conferences found the mix of topics stimulating and informative. Course Key Sessions: • Overviews of Personalized Medicine/Precision Medicine. • Precision Diagnostics. • Cancer Genomics. • Biomarkers. • Computational Imaging. • Bioinformatics. • Machine Learning/Artificial Intelligence. • Big Data/ Data Science. • Pharmacogenomics. • Wearable technology. • Ethics panel. • High throughput drug screening of patient tumor cells to personalize cancer care. Additional details will be posted as soon as they are available. 2nd Synthetic Biology for Natural Products Conference is organized by Fusion Conferences Ltd and will be held from Jun 02 - 05, 2019 at Fiesta Americana Puerto Vallarta All Inclusive, Puerto Vallarta, Jalisco, Mexico. Target Audience: Synthetic biology scientists and companies looking to learn the latest engineering and synthetic biology technologies for converting small molecule, natural product pathways into novel compounds. Topics discussed during the conference will span the experimental spectrum from molecular biology, microbiology, drug discovery, chemistry and pharmacology, to antibiosis activities against cancer, viral and microbial pathogens, as well as biocontrol and biostimulants. Conference Description: Genome sequencing has revealed an enormous untapped biosynthetic capacity for microbial natural products, only a small fraction of which are represented in fermentation-based screens. Synthetic biology tools are being developed to translate the encoded diversity of microbial biosynthetic pathways into novel compounds and natural products. The Synthetic Biology of Natural Products conference will blend these disciplines with the goal of generating new platforms, tools and technologies to capture, manipulate and engineer natural product genes and pathways. Converting this vast untapped (meta)genomic diversity into novel chemical leads for biomedical and agricultural applications will require breakthroughs in design, scale and biologics that currently limit the field. Additional details will be posted as soon as they are available.